You might dream of opening a restaurant business…but your bank account might puncture those dreams. The reality is: you have no money to start a restaurant. But does that necessarily limit you from doing so? Not at all! As you’ll see, it’s completely possible to open a restaurant business with no money (or little), as these people did. There’s no rule that says that a restaurant business has to start out as a giant brick-and-mortar location. When finances are tight, you may find it easier to have pop-up events that let you establish your brand, get to know your customers, and save money for bigger plans. That’s just what Loyal Nine in Cambridge, Massachusetts, did to fund its eventual restaurant space. Not only did its pop-up events and supper clubs help the brand figure out its identity in terms of hospitality and cuisine, but it also helped introduce them to potential investors. Work with local businesses (wine bars or breweries that don’t serve food are a great place to start) to host one-time dinners. Market heavily so your turnout will exceed expectations and the venue will ask you back again. Also look for community events where you can set up a booth to sell your food and get people clamoring for more. A small café can cost upwards of $50,000 to $75,000 to open. A larger concept will cost much more. Most people don’t have this kind of money laying around, and so taking out a restaurant business loan is a good way to get a large sum of startup capital. Before you apply for a loan, look to your city government’s website first. Some cities offer economic incentives for business owners who launch businesses in underdeveloped communities, so you might find that, by opening your restaurant in a certain neighborhood, you can get a tax break or even grants to help cover your costs. If that isn’t an option, look to your state’s restaurant association for free resources to help you find the right financing. Small Business Association loans usually have the best interest rates and terms, so see if your bank offers them. One piece of advice from the co-founder of London-based steakhouse company Hawksmoor: don’t put up a personal guarantee for your loan. If you do, should the restaurant go under, your personal assets (like your house) could be taken to pay your debts. It’s important for you to understand that you have options when it comes to financing your restaurant business, and that includes crowdfunding. Rather than with a traditional loan, you don’t have to pay back funds raised through sites like GoFundMe. Anyone can donate to your cause, in any increment (even $5!). You are required to give certain “perks” to donors, such as a free meal, t-shirt with your logo, or even a 5-star dining experience with your chef. This yet-unnamed restaurant in Northfield, Minnesota, is using crowdfunding to upgrade from a successful food truck business to a physical location. To date, the campaign has raised over $4,000 out of a goal of $10,000. Not only is the restaurant finding the funds to open, but it’s also getting people in that community excited about the upcoming business. Another option for opening a restaurant business with no money is to find an investor. An investor will give you the capital you need to start and manage your restaurant…but realize that he or she will also have equity in your restaurant and will want to have a say in decisions for it. For that reason, investors aren’t for everyone. However, if you partner with an investor who has deep restaurant experience and contacts, it could be what elevates your business to the next level. There are investors who deal with every level of restaurant business funding, from the mom and pop diner down the street to brands like Qdoba and Chipotle, which are now national or even international franchises. Investment groups like the Kitchen Fund have helped small restaurants like The Pie Hole in LA turn family recipes into a restaurant dream come true. Another way to dip your toes into the restaurant business without such a huge financial risk is to first launch a food truck business. Mexicue in New York City started out serving its Mexican and barbecue dishes in a food truck, and today has three standalone locations in NYC and one in Stamford, Connecticut. Again, a food truck offers you the unique opportunity to test your dishes and find your audience, and you have the additional benefit of being mobile so you can go where your customers are. 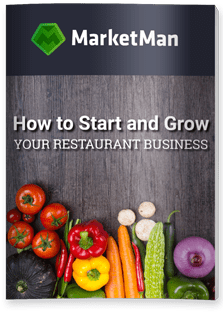 Once you’ve proven the concept, built demand, and saved up, you can open your physical restaurant business. No money? No problem. You can start a restaurant business in numerous ways with these financing options.